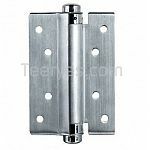 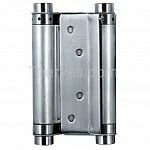 A spring door hinge is nothing like a regular door hinge. 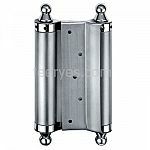 Regular hinges are removed by prying the hinge pin out first, and then just taking out the screws. 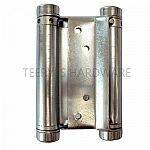 Installing it with self-closing spring hinges puts less stress on the frame than the old-fashioned spring and hook arrangement we may remember as kids and holds the door closed with an even pressure that keeps it sealed tight against insects. 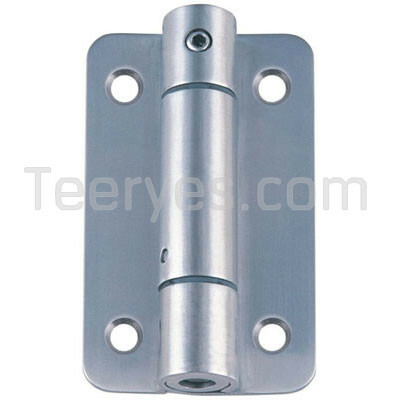 A spring door hinge has no hinge pin, and the inside spring mechanism must first be dealt with before any of the mounting screws can be removed.